Desert Rose flower buds opening time-lapse. Thread: Desert Rose flower buds opening time-lapse. It looks like the last sequence was cleared out from this section, so how about one I did last year. I've now uploaded it to flickr which can be seen there in high quality video (unlike the FB version I tried elsewhere before). The video starts off black because I used fade in & out so here is an image of one of the frames. And the time-lapse sequence video. I use Olympus E-M1 Mk I & Mk II, E-M5 & Stylus 1. Re: Desert Rose flower buds opening time-lapse. Beautiful flower and nice time lapse, This flower is nothing like the Desert Roses we have here in the Red Centre. Thank you to you both. No, this is not a Sturts Desert Rose (Gossypium sturtianum var. 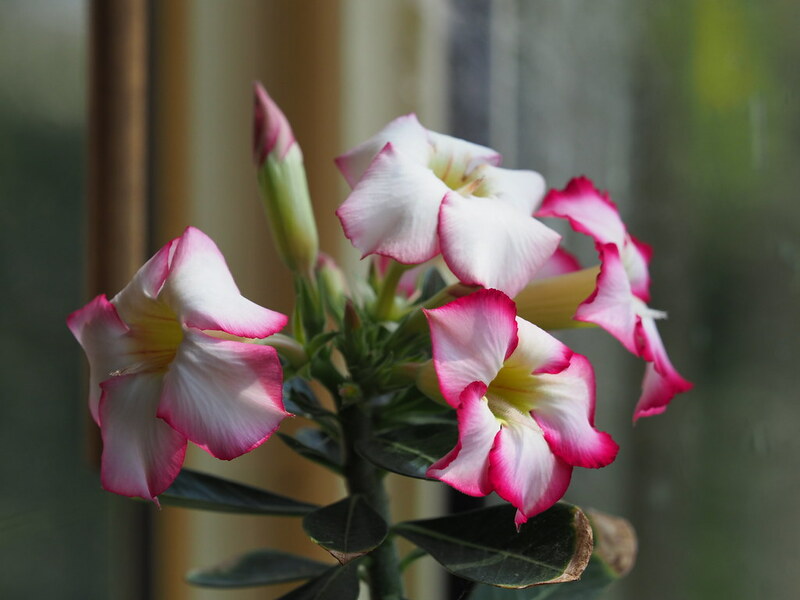 sturtianum) but an import, Adenium obesum,​known around the Sahara Desert.